This document explains how to make a technical integration to the MobilePay Invoice product. The audience for this document is either technical integrators acting on behalf of merchants or merchants creating their own integrations. 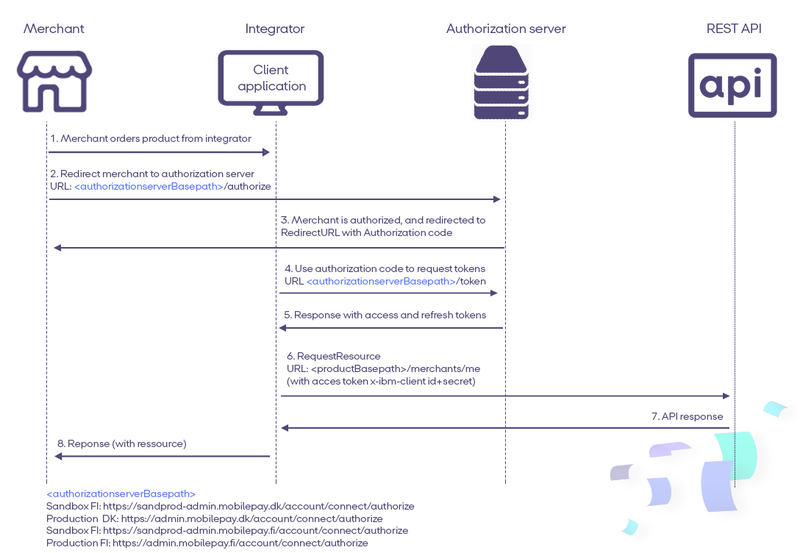 "/authorize" endpoint for initiating authentication flow. You need to wait for the response by listening on the redirect URI and get the Authorization Code. Our system will re-direct the merchant back to your system also using the redirect URL. You can read more about the product here. Integration is based on common standard OpenID Connect. You can find more here. You can find links to the official Hybrid Flow here.